This is a picture of me the morning after Tropical Storm Norman came through and turned the streets of La Paz into warm, sewagy rivers that were just deep enough to make you seriously regret wearing flip flops. Rosie made White Russians to celebrate yet another ‘end of the world’ and I drank enough of them to do two entire circuits around the bar telling people I loved them. This picture was taken minutes after all that sugar coated happiness came back out my stomach and into the toilet. Thanks again, Kalua. I make mistakes. I make a lot of them. This blog is about Michael and I trying not to make mistakes as we live and travel on our 30ft sailboat, Azul. 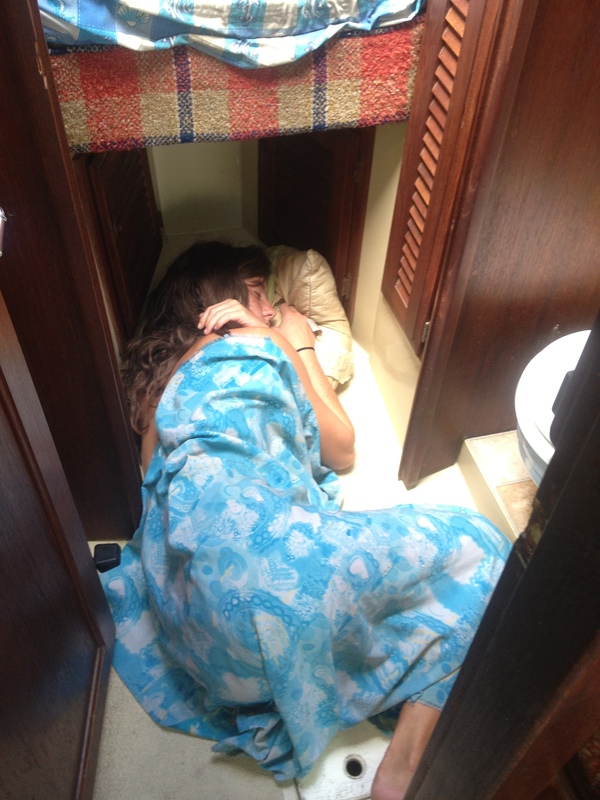 What’s it like living on a 30ft sailboat? Small. What’s it like living on the ocean? Wet. What’s it like living on a 30ft sailboat on the ocean in Mexico? Absolutely freaking awesome.